CNG: eAuction 436. ROMAN. Imperial. Lot of ten (10) Animal-themed Antoniniani of Gallienus. 436, Lot: 1084. Estimate $500. ROMAN. Imperial. Lot of ten (10) Animal-themed Antoniniani of Gallienus. 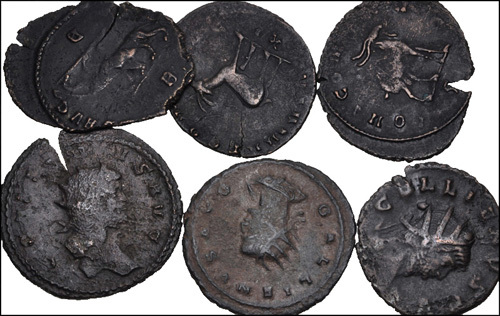 Includes: coins depicting various animals. Fine to Good VF. LOT SOLD AS IS, NO RETURNS. Ten (10) coins in lot. Closing Date And Time: Jan 23, 2019 at 4:01:20 PM ET. Current Date And Time: Apr 24, 2019 at 12:26:24 AM ET.